If you are new to the world of metal fabrication shops, chances are you are also new to the world of plasma cutting and all of its awesome possibilities. Here at Fort Miller FAB3, our plasma cutting service is one of our metal fabrication shop’s key services. In addition to turn-key metalworking, laser cutting, CNC machining, robotic welding, bending, and more, our skilled technicians are able to use our plasma metal cutting machine to precisely cut sheet metal and perform a wide variety of jobs. In today’s blog, we want to talk about some of these jobs and offer some general information on this process. Contact our shop in Saratoga Springs, New York today to learn more about our capabilities and pricing. In short, plasma cutting is a technique used to cut through conductive metals, such as steel, brass, titanium, copper, aluminum, and more. Plasma cutting is not just done in metal fab shops using large CNC plasma cutting machines. It can also be done by hand using a hand-held plasma torch, or sometimes referred to as a plasma arc, plasma cutter, or plasma gun. However, as might be expected, since CNC plasma metal cutting machines use automation to guide the path of the torch, this cutting method is preferred in industrial applications where numerous and ultra-precise cuts are required. Plasma cutting first came into use over 50 years ago when flame cutting wasn’t cutting it—literally, flame cutting wasn’t able to able to cut some metals like stainless steel, aluminum, and copper, which inspired the invention of plasma cutting. Plasma cutting works by sending a fast jet of hot plasma through conductive metals. This hot plasma is generated through the process of sending an electric arc through a gas like nitrogen or oxygen. When the plasma jet hits the metal, recombination occurs, causing the gas to revert to its normal state, thereby, emitting intense heat. It is during this interaction that a fourth state of matter is created. We call this state plasma. Not Sure What Type of Cutting Is Right for You? At our metal fabrication shop, we understand that no two projects are the same. This is, in part, why we have a fab shop with a wide array of technology. We want to have the ability to turn your exact vision into a reality. This is a point of pride for us, and we have a proven track record of success. Whatever the project, we will leverage our vast wealth of experience, expertise, and technology to find the most suitable approach to make your project a success. Contact the experienced team at Fort Miller FAB3 today to get started! 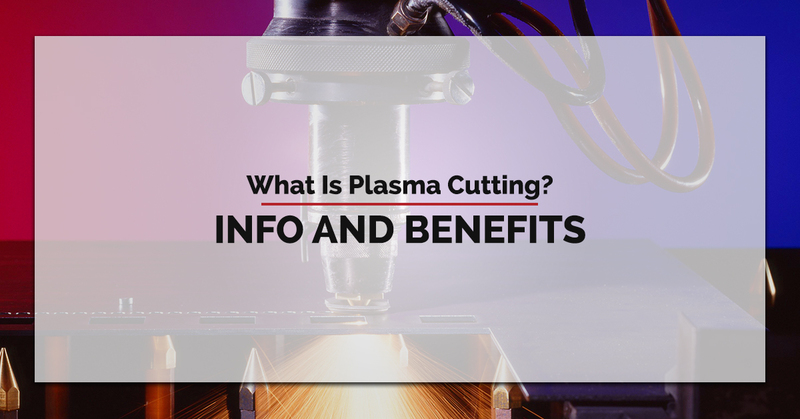 For additional information, check out our recent blog on some of the key differences between plasma and laser cutting.